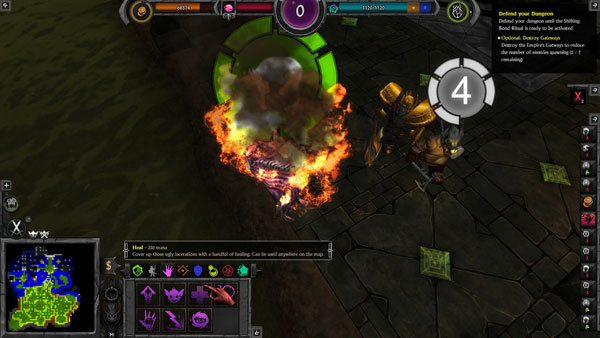 War for the Overworld mixes the very popular dungeon building genre with some RTS elements. It’s a bold, innovative take on this sort of game but does it work? When they say RTS elements they’re mostly referring to the scale. 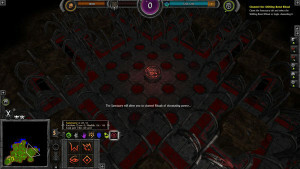 While it’s all still within a dungeon-style environment the area of battle is quite large on most maps. In the last half of the game the fights are truly spectacular. 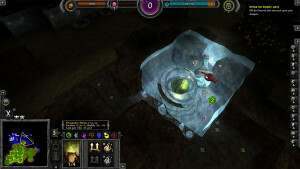 This lends a different type of play style to the normally claustrophobic settings of dungeon defense games. Battles in the second half of the game are truly huge and feel like a Starcraft-style battle instead of something from Dungeon Keeper. The number of upgrades you have access to is truly staggering. We’ve never seen so many in one game. Combat, with dozens of options, is by far the most enjoyable part of this game. Combat in the game is really quite fun. 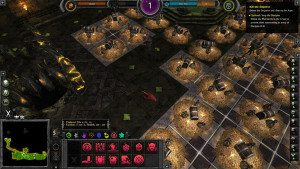 It combines the frenzied RTS combat you expect with defensive layouts from traditional dungeon defense games. When the action picks up freezes and graphical glitches are common. So it can’t all be perfect right? As you expected there is a problem. Despite running the game on a rig which can handle GTA 5 and the Witcher 3 on Ultra we had some problems with this game. Freezes, graphical errors and slowdown were all quite common when we reviewed the game. While each tile is detailed and beautiful, rendering a fully finished dungeon is difficult for most computers. Most of them stem from the game being a RAM hog. Since the game is rendered in Unity it can take up quite a bit of your computer’s power. Unless you would like to run it on lowest it is a game for those with very strong computers. Rituals give you an extra edge in the game with incredibly powerful effects. 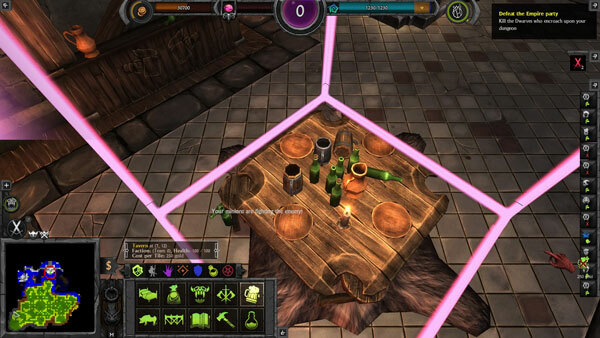 Normal mechanics are greatly improved by the addition of super-powerful potions and rituals. Rituals act like wonders or super-weapons in other RTS games allowing you to speed up production or summon super-units like vampires. Potions greatly improve your options in combat and production. Each one has a different, powerful effect. Potions allow you to buff workers, freeze enemies or even summon defenders. Each one can be used in an emergency and add a special twist to single player and multiplayer. Another area where the game shines is in voice work. You play a disembodied spirit, destroyed by the defenders of the realm. Your master has brought you back in order to do his bidding and conquer the planet from bottom to top. Side characters add interesting twists as well. 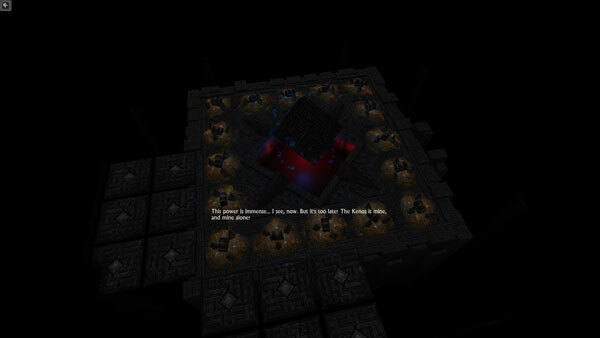 As the game goes along you deal with kings corrupted by power and other spirits such as yourself. By the end you realize something is not quite right with this setting but we don’t want to spoil any more for you. All of this is topped off by witty quips from the narrator over the course of the game. From the map to individual taverns and monsters the game is quite beautiful. You can tell that the texture artists, animators and other designers put all their effort into this. Each individual tile has tiny details which show how much effort was put into this aspect of the game. In this area they did an amazing job as well. We hope to see what comes out in future content here. Interestingly enough this game breaks the normal mold for games of this type and may be more fun in multiplayer than single player. 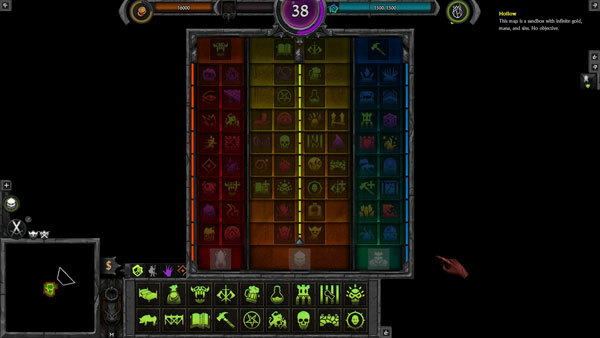 With human opponents and dozens of options each match is different. 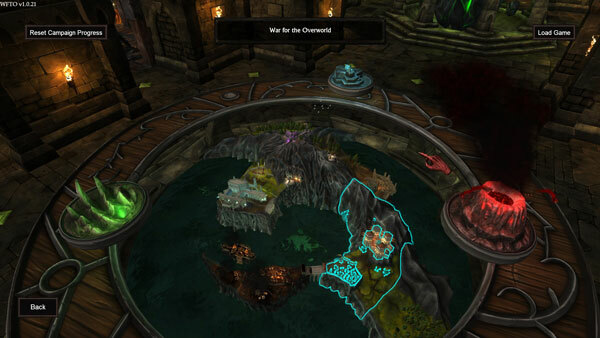 Final Verdict: 3/5 – War for the Overworld attempts to deliver the largest, most spectacular dungeon game to date. In many ways it does. Unfortunately optimization issues really hurt the experience and are the chief gripe of all reviewers. Despite this it’s an amazing take on dungeon defense with varied missions and an intriguing story. 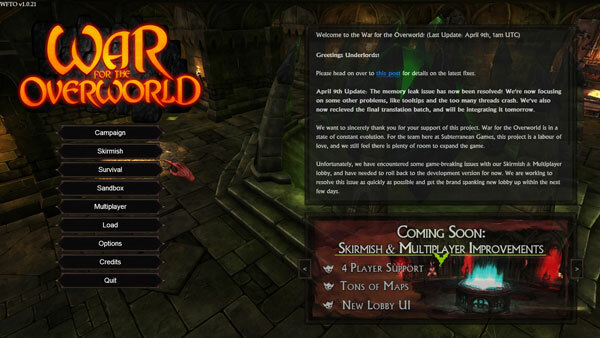 War for the Overworld is on Steam right now for $29.99 USD and you can purchase additional content packs as well.